Re-released and repackaged in a three panel foldout cardboard Digipak with one extra track (track 18) from the Peel Sessions EP. ℗ 1998 Warp Records Limited. © 1998 Warp Records Limited. Made in England. Ambient sounds combined with inspired hip-hop beats sum up pretty well this release, which pay tribute to childhood and nostalgia. The bonus track "Happy Cycling" keep your head moving during almost 8 minutes on this re-release. Except maybe of "The Color Of The Fire" and "Olson", all the other songs are perfect. I gonna choose "Rue The Whirl" as a sleeping song and "Open The Light" as a wake-up one all the way. A masterpiece from the 90s that everyone should listen at least once, just to clean up the mind. When it comes to our life everything counts - people we meet, places we visit, food that we eat and books that we read, and eventually music that we listen and are into! There are lots of music out there that pleases you and your ears. But then there are few recordings that genuinely grabs your soul so much that it defines you and your taste for the rest of your life and helps you remember who you are! This release is one of them! Listen to it and your childhood is there echoing now and then and reminds you that there is a little kid inside you even after many years. Those two guys are just so good making this type of music! Definitely one of the top most important records in music history and, hell yeah, my own music collection till death do us part! 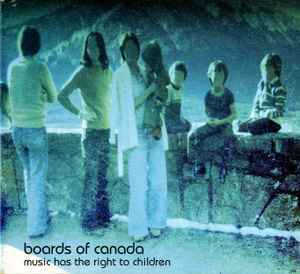 For me this is Boards Of Canada signature album even though it is not the first one in their small discography. Each track has it's own true and distinctive nature here, very playful and childish radiance. Tracks like ''The Color Of The Fire'', ''Roygbiv'' and ''Aquarius'' are so good that it is a real challenge to describe HOW good they actually are (!) Awesome! Sure thing ''Smokes quantity'' is one hell of a tune but I am sure that this album would sound as good without it because it belongs to Twoism and presents completely different sonic experience and perspective! Anyway, make sure you listen to this before you die, so, please, do yourself a favor - go and buy this album! It'd be pretty easy to dismiss this album as relatively simple but that's really just on the surface. There's tiny details that reveal themselves after several plays that you could have sworn were not there before - that's just the nature of BoC's music. A pretty important album for 90's electonic music. The retro theme here is very obvious. The artwork and overall sound of the album reflects that of being in the 1970's. I wasn't born until the 80's, so I can't say that I honestly get memories from listening to this, but I can certainly appreciate what Boards of Canada were trying to do. My personal favorite on here is track 14, Pete Standing Alone. You can feel the loneliness in this song. Also worth mentioning is the eerie The Color of The Fire, which has a small child's voice repeating "I love you". Sounds harmless enough, but it gives me goosebumps hearing it. All in all this album is a wonderful contribution to the electronica and IDM scene... This being the re-press version, the buyer gets a bonus track from BoC's Peel Session. What else could you ask for? This really is BOC's masterpiece. With the exception of track 14, each song is perfectly crafted as to create the album's main mood, which is melancholical. The addition of Happy Cycling at the end of the album makes this brilliant release even better.